The perfect place to relax with that someone special, adorn your porch or garden with our beautiful Berlin Gardens Poly Cozi-Back 4' Swing! 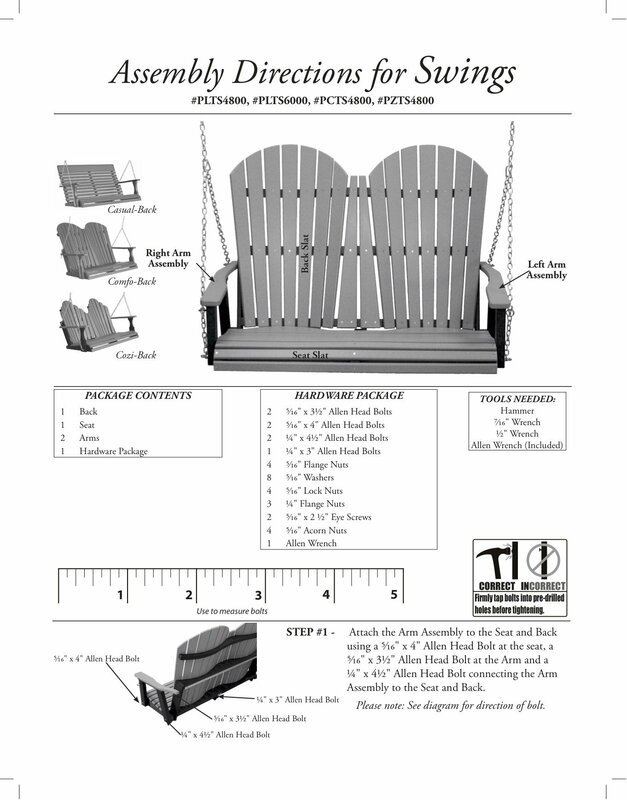 Handcrafted from eco-friendly poly lumber in an array of beautiful, brilliant colors with many beautiful Sunbrella cushion options, you're sure to find the perfect swing to compliment your home! 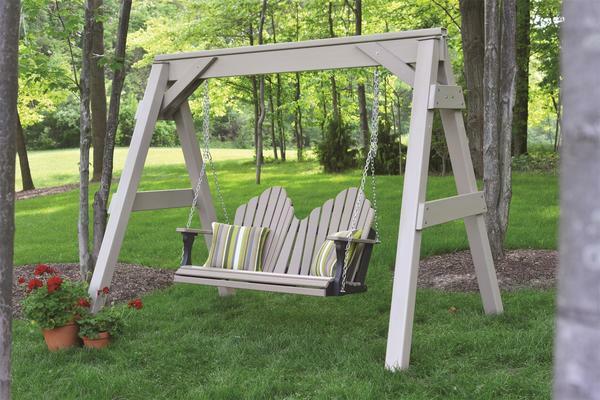 The Berlin Gardens Cozi-Back 4' Swing is handcrafted from environmentally friendly poly lumber, making it maintenance-free and impervious to fading, cracking, splintering, chipping and developing mildew like traditional wood outdoor furniture. Backed by a generous twenty year warranty, you can feel confident knowing that your investment in an outdoor swing will last decades!